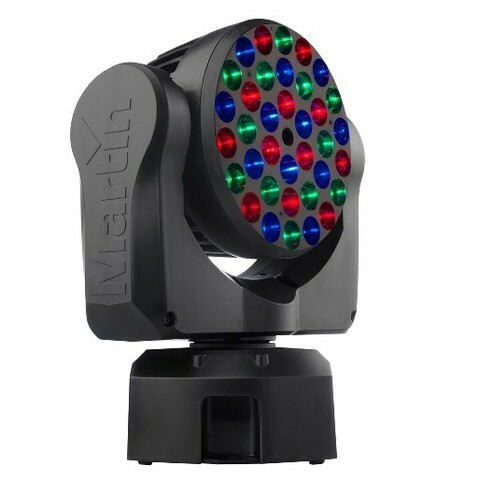 AV for You recently added Martin MAC 101 Moving Head Wash Lights to our Lighting equipment rental inventory! The MAC 101 is remarkably small, super light and easy-to-use LED moving head wash light with an amazingly bright beam for such a compact luminaire. It features rapid movement and calibrated colors that allows for revolutionary set, stage and decorative lighting design. Please visit our PRICELIST Page (Lighting Section) or our PRODUCT PAGE for current pricing of our Martin MAC 101 Moving Head Wash Light available to rent.